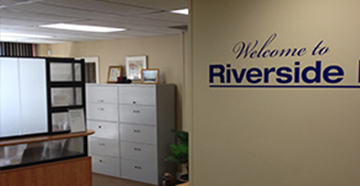 Welcome to Riverside Hearing Aid Service! Our satisfied clients are always writing letters to communicate their satisfaction with the Quality products and services they received from our professional staff. Please take a moment to review just a few of the numerous testimonies documented in our testimonials section. Welcome to Riverside Hearing Aid Service located in the front of the Former Gov. Clinton Hotel in Kingston NY, where quality and unrushed professional hearing healthcare service is our priority. Ernest has been providing professional hearing healthcare services at this location for twenty-three (23) years. The hearing aid practice located in the Former Gov. Clinton Hotel has serviced the hearing impaired for over thirty (30) years. 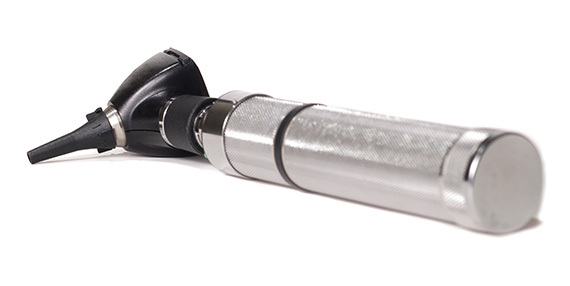 We are a company that truly understands the needs of the hearing impaired and is committed to providing the Quality products and services that fits those needs. We are independently owned and operated, which allows our company to choose hearing products from the manufacturers that year after year, emphasis Quality and Reliability in their products and services. Our office is devoted to treating you like a member of our family. When you choose Riverside Hearing Aid Service, you are guaranteed a commitment by our staff, to offer you complete satisfaction. 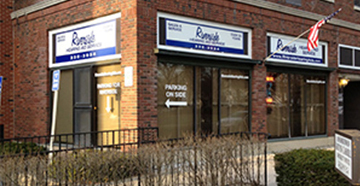 Our relationship does not end if you are fit with hearing instruments; In fact, our goal is to be committed to you, providing you Quality care and service for the life of your hearing instruments. Our satisfied clients are always writing letters to communicate their satisfaction with the Quality products and services they received from our professional staff. This office does not participate in telemarketing, gimmick marketing, or bait and switch marketing. We communicate our products and services via our Web Site, Yellow Pages, and our company brochure. Additionally, our products and services are communicated by: numerous healthcare contacts; healthcare practitioners; and word-of-mouth from hundreds of satisfied clients. Keeping marketing costs down has allowed our company to offer quality products and services at very competitive "apples for apples' pricing. All of our Hearing Instruments are fitted with a 60 - Day Risk Free Trial Period. Mastering the art of a proper Hearing Instrument fitting begins by embracing today's state-of-the-art tools: Real-ear measurement and speech mapping verification is used by this office so proper fit is achieved first time around; LACE (Listening and Communication Enhancement) training is available as an interactive computerized training program from NeuroTone, designed for home use. Just as physical therapy can help rebuild muscles and adjust movements to compensate for physical weakness or injury, LACE can assist in developing listening and communication skills and strategies that can help compensate for those situations when hearing is inadequate. 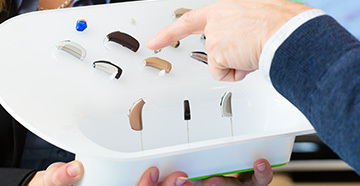 Interested in a LIVE DEMO before starting a hearing instrument trial? Are you concerned about how you will hear in a NOISY environment ie, bar/restaurant, walking on a windy day, riding a bike, listening to music at home or from your Ipod/smart phone, or would you like to experience hearing a phone conversation from your cell phone without handling your phone? If you answered yes, please feel free to contact our office to schedule an appointment for a live demonstration at no cost to you.